Maybe you or a loved one has started to think about letting someone else do the cleaning and housework, or perhaps you need more help than you used to get through your day. Perhaps you care for a parent whose needs have begun to exceed what you can offer to do. Whatever the reason, an assisted living community can be a great way to extend and enjoy senior life. Today’s senior living communities are vastly different from what most of us remember about our grandparents’ nursing homes. So how do you start? Most of us don’t know anything about shopping for the right assisted living community, and it can be a scary thing to be responsible for choosing the senior care community in which a loved one will reside and receive care. You need to know you’ll be getting the best care possible, and that your needs won’t be neglected. You also want your loved one to feel independent and happy where they live. Where do you begin? First, take a deep breath and relax – today’s senior living communities are vastly different from what most of us remember about our grandparents’ nursing homes. Modern assisted living facilities are a product of the residents who live in them – they are vibrant, active, friendly communities that offer seniors many options to meet their needs, from physical health to mental well being. Now that you’re ready, it’s time to start shopping. Before you start looking at senior care and assisted living facilities, you’ll want to figure out what your needs are so that you can find out if the community offers the senior care services that you need. Think about how you can visit your loved one, and what kind of area they’ll want to live in – is there shopping they like and enjoyable entertainment nearby? Where is the nearest hospital? Most senior living communities offer one or more of three levels of care. Skilled nursing is for those who need nursing assistance 24 hours a day. Assisted living helps seniors who can do many things for themselves, but need daily assistance with things like medications, cooking, bathing, and other basic needs. Many seniors can take care of themselves but would prefer to have help with cooking or cleaning – for these seniors, many facilities offer independent living communities. Find out if the senior care community team is friendly, if they are happy doing their job and like their residents, and if they are willing to meet you and your loved one. Get to know team members when you visit. Find out if the senior care community staff are friendly and willing to meet your eye, if they seem happy doing their job and like their residents, and if they are willing to meet you and your loved one. Expect to be introduced to the community manager on your visit. Their willingness to meet you and talk with you is proof that the assisted living community is concerned about your needs and the impression they leave you with. It’s very important that you can have confidence in the team. Look around – even take a good SMELL around. The community should feel fresh and clean – don’t be afraid to check for dust. Ask housekeeping about how often rooms are cleaned and how cleaning is done. Discuss laundry services ton find out if there are any extra costs involved with laundry or housekeeping. Take a look at the activities offered – there should be activities that you and your senior enjoy or want to try. Visit during a community activity, and notice how many seniors are participating, and how well the instructors engage with seniors. Take a look at what kind of classes and activities are offered within the assisted living community. There should be activities that you and your senior enjoy or want to try. Find out if trips away from the assisted living community are planned, and ask about whether or not religious services are provided if you expect them. Inspect outdoor areas to find out if residents have regular access to them. Common outdoor areas need to be safe and secure, fenced in, and clean, without trash or litter. If there are a walking areas, see that they are safe and easy to use. Have a meal at the community to see if you and your loved one enjoy the experience. Inquire about dining room hours and ask to see sample menus. Meal times can also be a great time to talk with other residents and ask them about their experience. Don’t forget to ask about special instances, including what happens if a resident can’t make it to the dining hall or has dietary concerns. Talk about bathing preferences and routines. Notice how the residents look – are they well groomed, clean shaven, and wearing clean clothes? When they are outside, look to see that residents are wearing appropriate clothing for the weather. Does the team interact with compassion, dignity and respect? Ask about “move out” procedures and be sure you understand why and when residents may be asked to move from their room to another within the assisted living community, and any possible causes for a resident to be expelled. 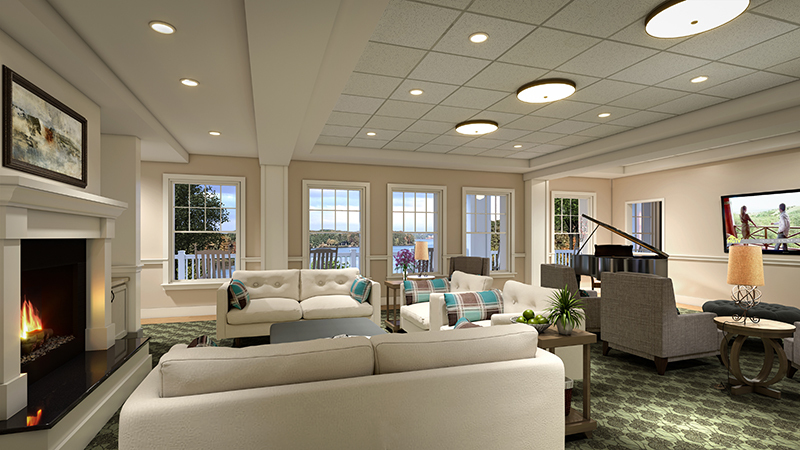 Find out specifics about the security and safety features of the assisted living community. Determine who can visit the community and learn how visits are scheduled and monitored. Ask about how and when residents may leave and return to the senior care community. Make sure that all bathrooms are handicapped accessible and equipped with safety bars. Learn how the team has been instructed to deal with emergencies and get familiar with the staff routine. Determine who is on-site at all times and get to know them, and find out if there is a resident nurse on staff. You’ll also want to discuss access to care at night, medication needs and any other special health concerns you might have. Get references by talking to other residents and their families of the senior living communities you visit whenever you can. The community council will be happy to talk with you about the community and its concerns. Find online – web sites like “A Place for Mom” can help you get a plethora of reviews and references. Remember to trust yourself – you’ll know when you’ve found the right assisted living community. You will know when you’ve found the right assisted living community – it will be a place where the team is trustworthy, you feel comfortable, you can ask questions and all your needs are met. Search and ask questions until you feel safe and secure, and remember to trust yourself – you’ll know when you’ve found the right assisted living community.